A third batch of rough notes while reading Bertell Ollman’s “Dance of the Dialectic” following on from the first and second installments. For Marx, the best approach to studying how the past developed into the present is to work backwards from effect to cause – instead of more usual assessments of the influence of the “economic factor” in tracing causality forwards. This is rooted again the philosophy of internal relations. His approach is therefore rather “precondition and result”, the two things viewed dynamically. Investigating how something comes into being is done from results backwards through the necessary preconditions – ie. from the vantage point of what things turned into. Ollman emphasises that this is not teleological – nothing is inevitable. Rather it is a question of what had to happen to make just this present possible. This is not to deny human agency – people could have chosen differently. Vantage point is the key. The alternative in writing history is to make choices about what to focus on based on criteria outside the historical process itself. Marx’s interest in eg. feudalism is therefore not in explaining feudalism but looking for the things which were important in the rise of capitalism. The section on the future is far less convincing. Marx projects current trends into the future to identify what communism might look like using the same tools, but this short segment is weak. As inquiry, the methods outlined (internal relations, abstraction, and the various dialectical tools) provide the means by which Marx investigates his subject. “The dialectic as inquiry is the search for internal relations within and between abstracted units”. As exposition, the dialectic “is Marx’s means of expounding these relations to his readers”. The difficulty of making language explain the analysis explains why Marx continually reworked Capital for example. Main features include dealing with each subject from many vantage points, along with following each subject through the particular forms it assumes at different times and in different contexts. Marx assumes or masks the larger part of what he identifies in a Relation in order to be able to express and explain the point he is trying to bring out. In other words we only see part of the meaning he sees or is trying to convey. He uses many different phrases to signal this, including ‘reflection’, ‘manifestation’, ‘in one of its aspects’. The ‘identity’ of things which are seemingly different (“division of labour and private property are identical expressions”) causes confusion among critics. Critics also tend to look for causal relationships “setting apart horse and cart where Marx meant each conception to convey both”. Marxism has not to date formed a significant part in political science. But he does have a theory of the state, albeit not one that is written clearly in a single place. Underneath these theories is Marx’s concern to locate relations within a system and depicting the effects of that system on the relational parts. Ontology: study of ‘being’. Marx asserts that reality exists outside us, but as a totality of internally related parts. Epistemology: how what is known is arranged in thought. Inquiry: what Marx is looking for and how he understands what he finds. Exposition: how to explain capitalism as a system of structural interdependence relationally contained in each of it’s parts. Ontology: the conception of ‘totality’ is the structured independence of its parts – interacting events, processes, and conditions – as viewed from any major part. This is contrasted to a structuralist conception which asserts the predominance of the parts over the whole. Epistemology: four interlocking processes – perception; abstraction (how Marx separates what is perceived into distinct units); conceptualisation (the translation of what is abstracted into concepts with which to think and communicate); orientation (the effects abstractions have on his beliefs, judgements, and action). This last point is important. What any group believes and does is inextricably linked to the ways in which it grasps and defends both. Inquiry: tracing out relations between units, frequently changing vantage point to see it from all angles. Intellectual reconstruction: Marx’s ontology is the world as an internally related whole; he breaks this down into relational units with structured independence which through inquiry he traces the links between. Ollman suggests that Marx’s personal understanding is not the same as the analysis in his published work. The key difference in his work is not between the young or old Marx, but between the published and unpublished. The key texts to trace his personal understanding are the 1844 Manuscripts and the Grundisse. His reconstruction is a success because a) having connected the main parts he is able to catch a glimpse of the overall system at work in each of them; b) the reconstruction is both ‘superstructure’ and ‘base’, the key contradiction being between social production and private appropriation. Exposition: comprehension and explanation are distinct functions and involve different techniques. 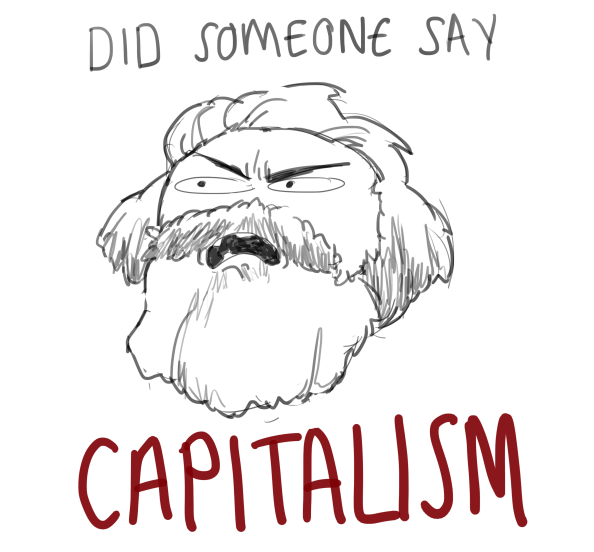 Marx attempts to explain capitalism from the perspective of each major social Relation. It seems that he was broadly dissatisfied though as he continually revised Capital for each new edition. As a book it is best approached as offering “successive approximations” looking at various different angles in turn. A recapitulation of the analysis that history should be studied “backwards”, using abstraction to bring out the patterns in which most change and interaction occur, and study in a way which never loses sight of how the whole is present in the part. Look backwards from the projected future to identify what in the present would form the preconditions for that future state. We can differentiate between near and far futures, marking the need for a ‘dictatorship of the proletariat’. This entry was posted in Marxism, Uncategorized and tagged Dialectics, Marx, Marxism, Philosophy on November 28, 2016 by 4harrisons.